Do you want to traverse the dark star Aurelia, scavenging its dungeons for rare technology while fighting off Eldritch Praetors? How about draining the blue vitriol oceans of Euclydes to feed the copper consumption of your increasingly large factories? Have you ever made a floating reincarnation prison for the Ender Dragon, harvesting its heart to empower your weapons and armor? Or watered your flowers with infused starlight and diesel? Do you actually want to know what happens when you submerge a Mighty Ender Chicken in magical anti-matter? The journey to answer these questions isn't going to be a short one. 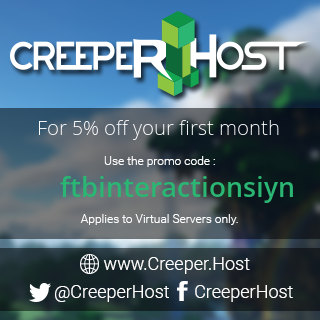 FTB Interactions is the largest and most ambitious progression pack FTB has developed to date. The pack was designed to encourage cross-mod interactions to solve logistical challenges, defeat buffed mobs, outright cheese traditional obstacles, and even automate the killing of bosses. It's a progression and quest driven pack that is targeted towards people looking for a long term challenge for themselves or in a server setting with teams in mind. Many large well-known mods are featured in the pack, foremost among them is Gregtech: Community Edition which serves as the backbone of the pack's progression, while mods like Thermal Expansion, Astral Sorcery, EnderIO, and Blood Magic play supporting roles. Over 20,000 lines of unique scripting was used to eliminate redundant materials or blocks (who needs 10 furnaces from 10 mods?) and integrate mod recipes and mechanics to make sure there was a polished, sensible experience when exploring how mods interact with each other. On top of that, traditional progression of mods have been flipped on their heads to encourage new playstyles or to better balance their functionality in a large pack. We hope you enjoy the pack as much as we had while developing it, we encourage you to drop by the Discord below to join the community. For clients, we recommend at least 4GB of RAM, up to 6 for optimal play. For servers, we recommend allocating at least 6GB of RAM with a large sized group of players. For server owners, make sure in server.properties that level-type=voidworld as this enables initial island generation and island control commands on servers. Please see the #faq in the listed Discord for recommended specifications or for more questions. 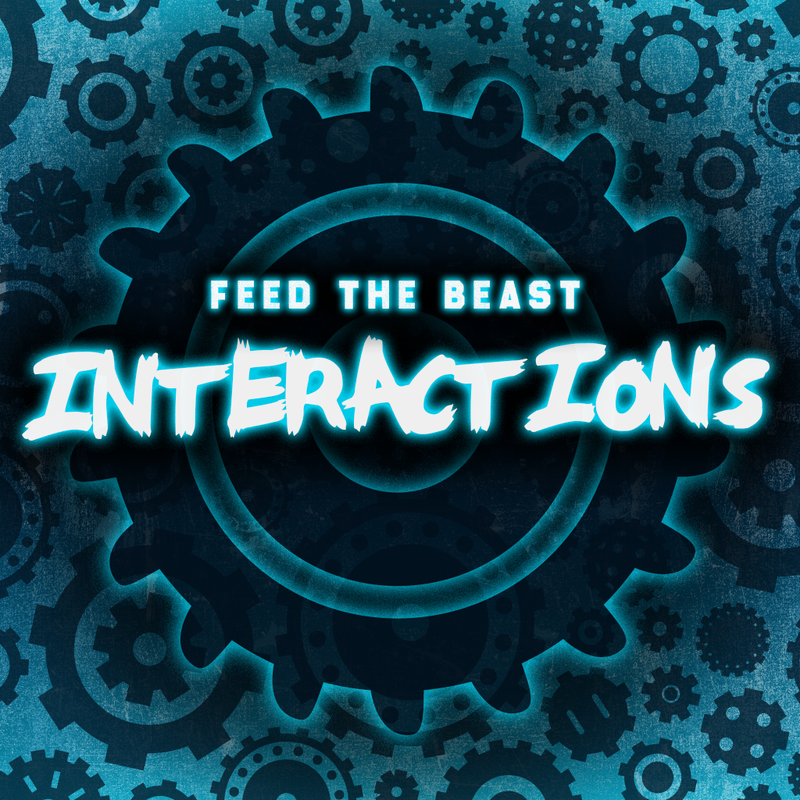 FTB Interactions includes a Discord Rich Presence mod that provides information about your in-game actions. For some, this might be seen as a privacy issue, so know that it is clientside-only and completely safe to remove from the pack, either by using the launcher or deleting the Discord1.0.#.jar file from the mods folder.